Welcome to the weekly digest and Happy Earth Day! According to the Earth Day Network, the 2019 theme is "Protect our Species." Shared on their website, "All living things have an intrinsic value, and each plays a unique role in the complex web of life. We must work together to protect endangered and threatened species: bees, coral reefs, elephants, giraffes, insects, whales and more." Read more here. When thinking of powerful content around conservation in the data viz community, the first author that comes to my mind is Jonni Walker. Jonni has only been on the Tableau Public team for about two years, but his work and his influence has been prevalent in our industry for years prior to that. (His first public viz was back in October of 2015!) One look at his Tableau Public Profile and you can see his passion for wildlife (especially the Kakapo) has not wavered. He shares incredible visualizations, weaving together data and storytelling, that compels the viewer to dig in deeper, learn more, and hopefully take action around conservation in their own lives. I know he has inspired me, I hope his work and his compassionate leadership will inspire you as well. + Don't miss out on your chance to join #data19 in Berlin! Tickets are still available, and we can't wait to see you! TC Europe Tickets. The most popular idea last week was Proper string function - Proper() by Minh Nguyen. In the post they write, "It would be great if the developers can add a easily function - proper() function to capitalize the first letter of words. This is a basic function in almost all applications." If you agree please add your vote + any supporting comments you may have. We would love to hear from you! They want to sort in descending order the years for two different sheets in the same dashboard. The original post includes a packaged workbook. There are 18 replies on the post so far, and it remains unanswered. + If you are looking for inspiration and a little insight into how Ambassador and Zen Master Rosario Gauna approaches #WorkoutWednesday you should check out her blog in English and in Español! + Social Ambassador Sarah Bartlett wrote up a blog on her recent IronViz Europe entry: Breaking Bag Habits: Combatting Plastic Bag Use in the UK #IronViz Europe. in which she discusses the theme, her sources of inspiration, research & data collection, design, color and more! Thank you & Happy Earth Day! Wasn’t it great to see Tiger Woods winning his fifth Masters at Augusta yesterday? He is just the second ever player to win a Masters in three different decades (the first being Jack Niklaus). In honor of the win, I thought I’d share some golf vizzes that caught my eye. First up is Becoming Golf’s Number One by Rody Zakovich, which shows how both Tiger and Greg ‘The Shark’ Norman dominated during their prime. My personal favorite is Breaking Bag Habits by Sarah Bartlett. The dark background and creative design really makes the data pop, and I was particularly drawn to the Bag for Life section. I know I’m guilty of forgetting my Bags for Life in the boot of car and buying more during the next shop. So for me, seeing that Tesco sold a whopping 430M bags between 2017-2018 is an eye opener, and I will definitely be more mindful in the future. If you have previously voted on Idea #2767, or are interested in seeing ‘excel like’ sorting in Tableau then our Dev team would love to hear from you. One of our Senior PMs in Dev (Ewald Hofman) is actively looking for further feedback and use cases, so please reach out to him at ehofman@tableau.com to share twbx files/screenshots on this topic. One of the things we love most about new releases is the opportunity to flip ‘Active’ ideas to ‘Released’. Here is a quick snapshot of just some of the ideas we flipped with the roll out of 2019.1. The most popular thread last week was around calculated fields, which can often prove tricky. Kudos to Deepak Rai and Don Wise for jumping in with their suggestions. Don’t forget that if you would like to help the Community you can always pop in to the Crow’s Nest to find the unanswered questions. 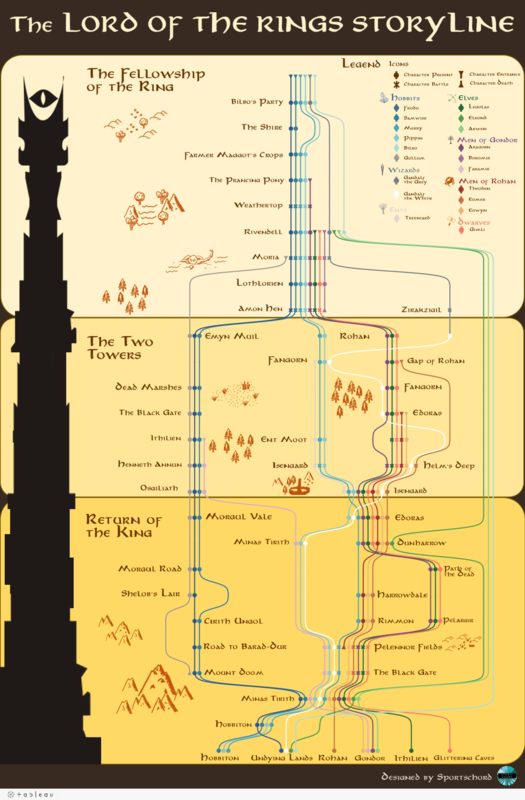 So for the GoT fans in the house, I’m sure you’ll love Adam McCann's viz – Game of Thrones in words . Before we wrap up, I'd like to a minute to recognize some folks for their recent involvement in the Forums. A big THANK YOU for the answers they have provided and the contributions they have made to the Community. We really do appreciate your efforts folks, thanks a million. We have another week of an amazing digest with some phenomenal content from the Tableau Community. 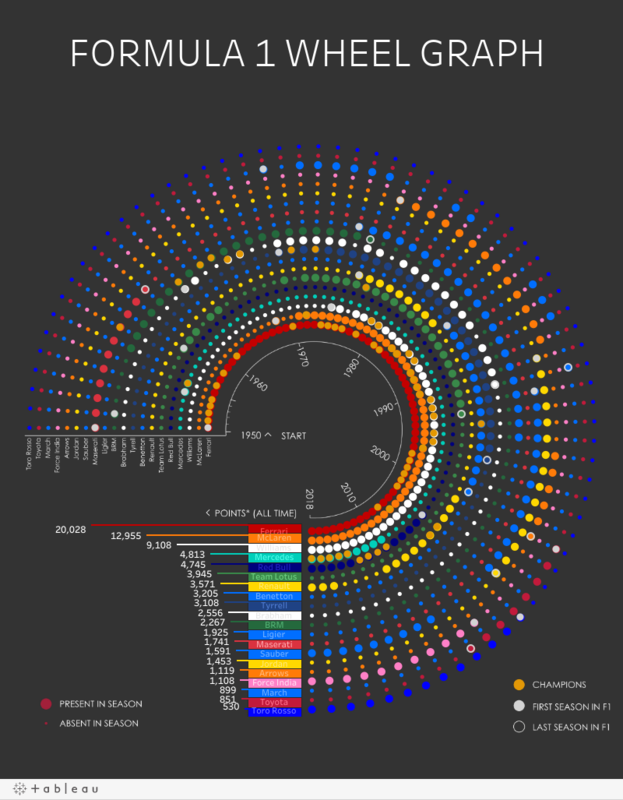 I decided that I wanted to share a viz that shows you how to create a highly requested chart type, Create a Hub & Spoke Diagram, which can be used to show many different types of data. 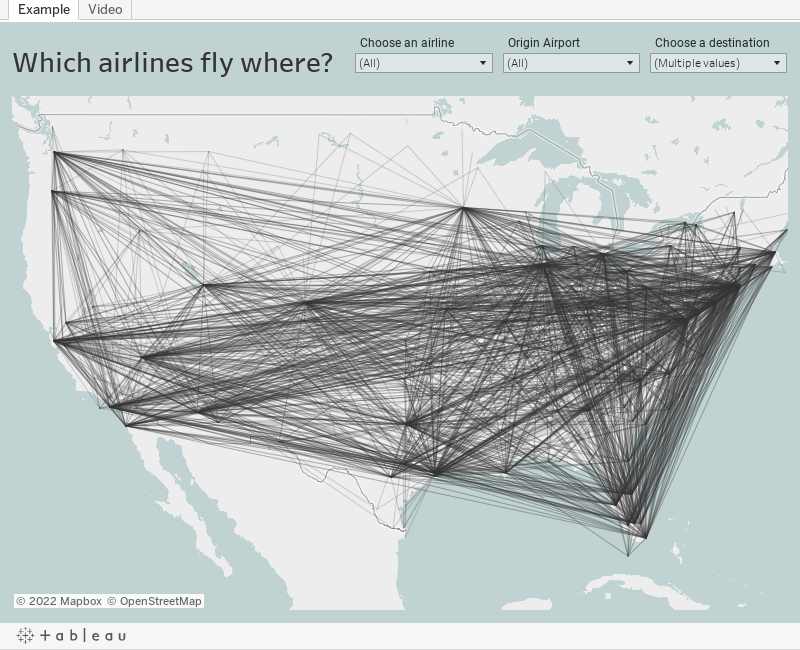 The most common and data that interests me due to my love of traveling, is flight data! Create a hub and spoke diagram of your own with the embedded example video created by Andy Kriebel within the Tableau Public viz. 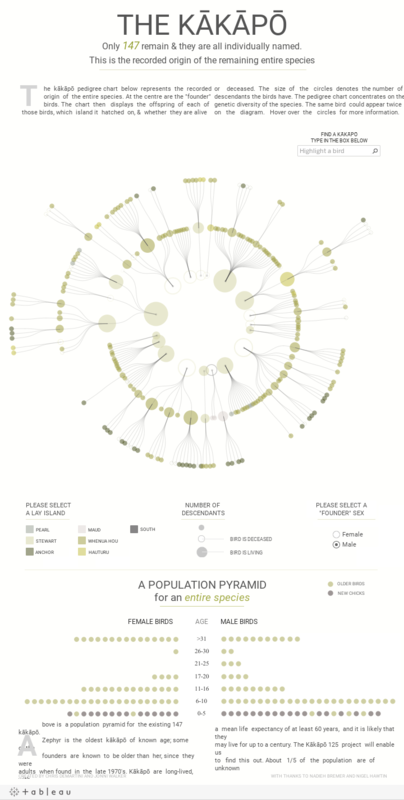 Check the full viz here. 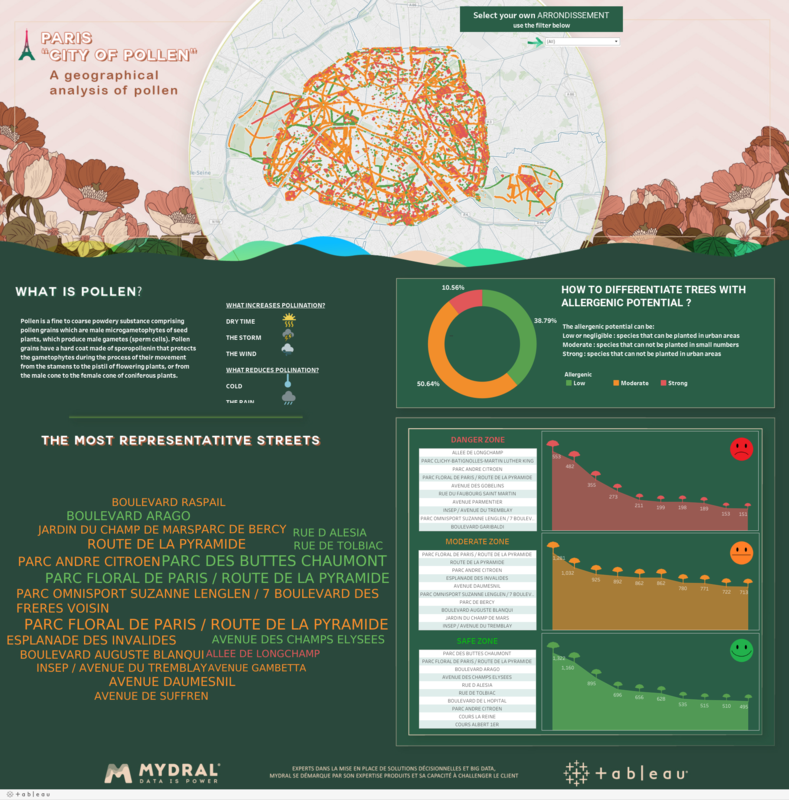 If you use this viz and video to make your own hub and spoke, upload it to Tableau Public and share it as a comment to this digest. I want to see what data everyone dives into using this chart type. + Ewald Hofman, Tableau Product Manager, wants your feedback on the following Tableau Community Idea: "'Excel Like' Sorting". Ewald is looking for some screenshots and examples of your use cases. + Don't miss out on your chance to join #data19 in Berlin at a discounted rate. Register today! TC Europe Tickets. + Check out the 2019.2 beta before it is too late! Vector maps, parameter actions, new Ask Data functionalist and more! Check out the blog with all the exciting details from Tableau Product Marketing Specialist Emily Chen here: Now in beta: Vector maps, parameter actions, and new Ask Data functionality | Tableau Software . This week our top-voted idea is Apply number formatting inside a calculated field which was posted by Russell Lamb and has received 7 votes over the last week. Bringing the total for the Community Forums Idea to 779 total votes! There are no current updates for the idea, but please show your support for the feature by sharing, up-voting and adding additional comments! *To participate with a vote, or comment on the idea you will need to log in with your Tableau Community Forums account. Our most talked about tread comes from Dheeraj I who posted April 4th was quickly engaged by Naveen B who was able to provide an outside the box solution leveraging the Contains() function in Tableau Desktop. The initial suggestion that Naveen had was to leverage REGEXP (Regular Expressions) within Tableau, but this was not able to be accomplished due to the data types in use. Thanks for the awesome assistance Naveen and thanks for posting in the Community Dheerja! + The Tableau Mobile deployment with Citrix Endpoint Management and Microsoft Intune guide is a great resource for users attempting to manage the Tableau Mobile deployments. Check the guide out from Rahul Motwani found here. + Why Do Bar Charts Work? and Interesting Bar Chart Variations you and Could Be Using! The phenomenal Eva Murray has two amazing articles in Forbes about bar charts. Explore the reasoning behind why these charts are successful in conveying your point with data. Then take a turn to the design of your charts by checking the interesting variations of bar charts that are out there. + Explore the thought behind beauty within a viz through in the newest blog post from Bridget Cogley. Check the new blog post as well as the rest of Bridget's awesome blog here. 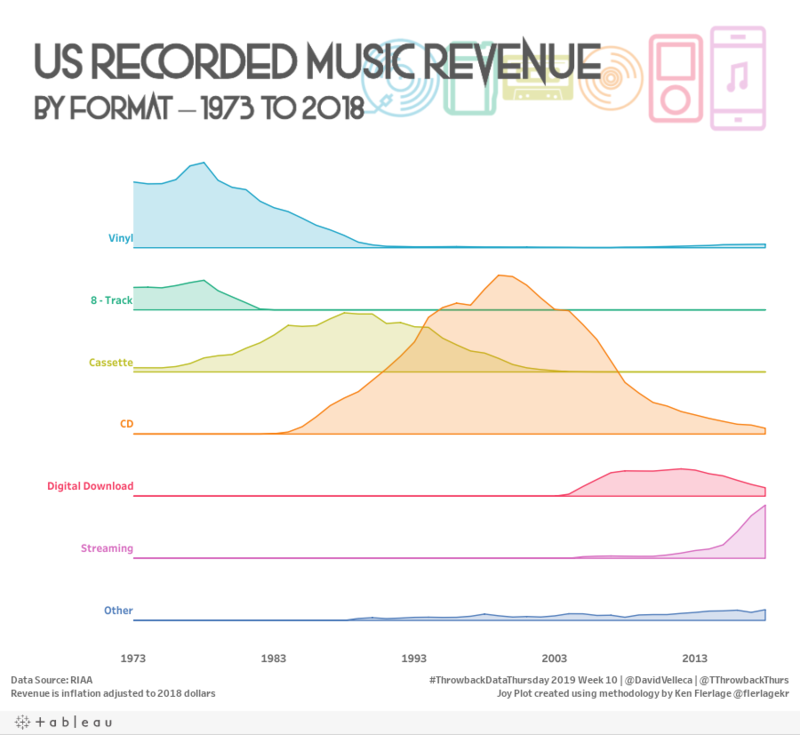 This week I wanted to share a viz created by David Velleca about the rise and fall (based on dollars of revenue) of the various formats that we consume music in. Starting back with 8-track and vinyl back in 1973 and taking us to modern day with streaming services and other platforms. One interesting takeaway and something that helps support my theory about vinyl regaining popularity increasing over the last decade is how the sales revenue of vinyl declined all the way through 2007 until 2008 when it began its climb back up! Having collected vinyl all my life I had noticed a trend in its popularity but it is something I have neglected to prove with data. But luckily David has done it for me! + Tableau Conference 2019 site is up! Check out the site and get excited for the biggest #DataFam party out there. It will be my 4th year attending the conference, and each year is bigger than the last! There is no other event out there quite like Tableau Conference. It is part music festival and part business conference. Where you can get down with a Tableau training, talk or workshop and then get down on the dance floor with some awesome artists at the Data Night Out! 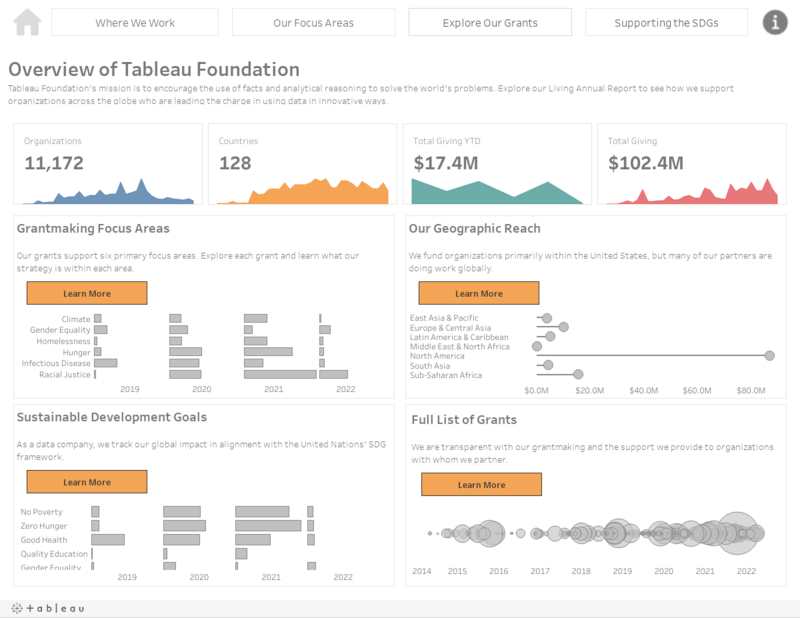 Check out the site: https://tc19.tableau.com/ Share your conference journey or excitement with the hashtag #Data19! + 2019.2 is in beta! Vector maps, parameter actions, new Ask Data functionalist and more! 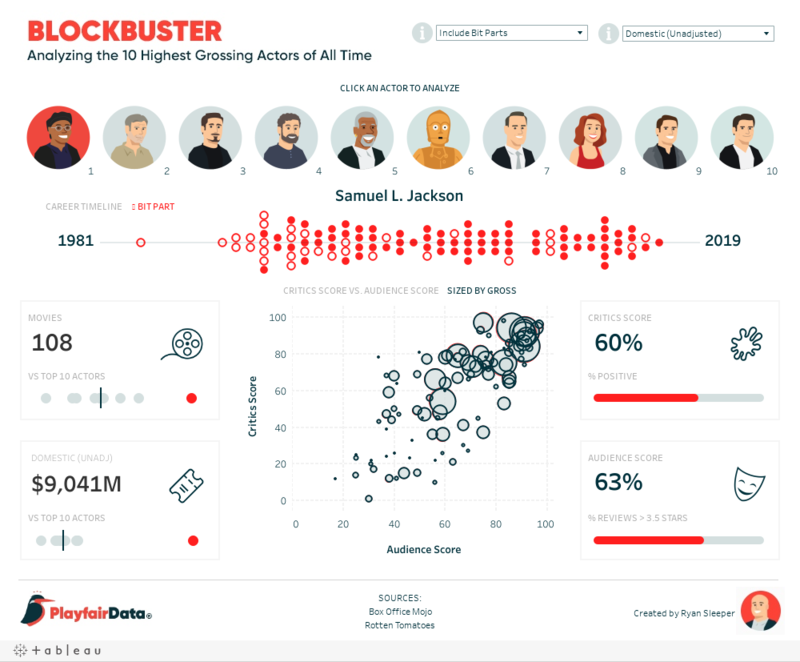 Check out the blog with all the exciting details from Tableau Product Marketing Specialist Emily Chen here: Now in beta: Vector maps, parameter actions, and new Ask Data functionality | Tableau Software. + Our most talked about thread this week had 18 replies has a solution posted! Jon rios asked for some assistance on the use of KPI labels in Tableau, KPI labels for colors only shows 1 option, we have several replies from our phenomenal Tableau Community Forums members and some potential solutions shared by Robert Breen. Thanks for helping out your #DataFam Robert and thank you for posting in the Community Forums Jon! Remember to mark replies has helpful, or correct if they help resolve the issue or answer your discussion question. It is a great way to say thanks for their contributions to our amazing Community Forums. Also, don't forget a workbook when you are posting! Users who post questions to attach a packaged workbook. This document is to help you understand when a packaged workbook helps, why we ask for it, and how to include one: Packaged workbooks: when, why, how. Definitely bookmark this resource! + The top voted idea this week is Allow Server Administrators To View As Other Users, created in 2016 and has 395 votes! The idea was created with the thought of being able to evaluate user permissions throughout an organization. Do you like the idea? 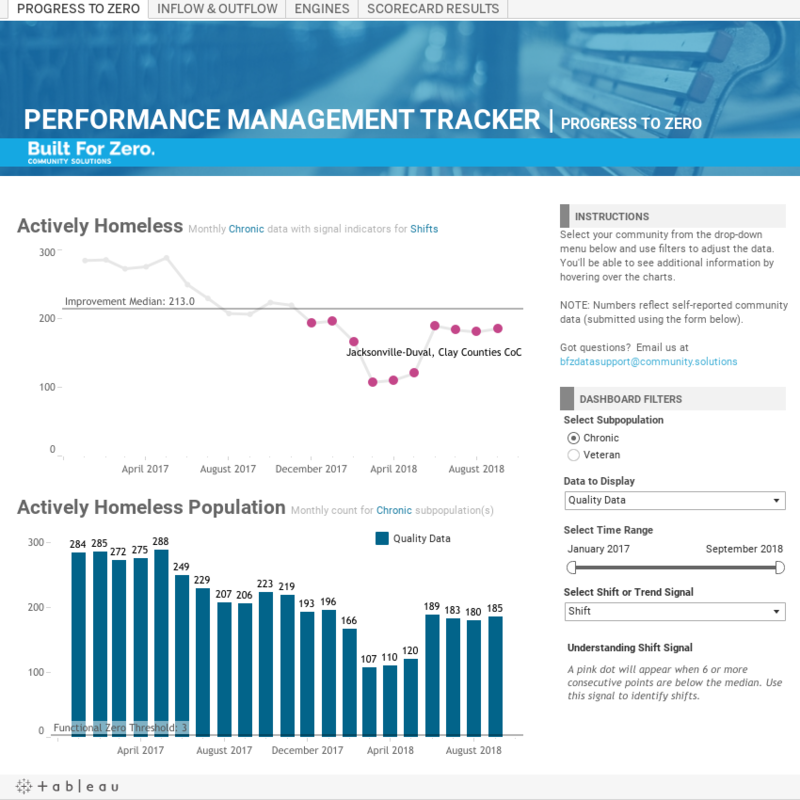 Sign into the Tableau Community and up-vote it to show support! Don't forget to share the idea with other #DataFam who would also love this feature. Join the conversation and share your ideas with the Tableau Community. + Want some reasons to enter the Iron Viz competition? 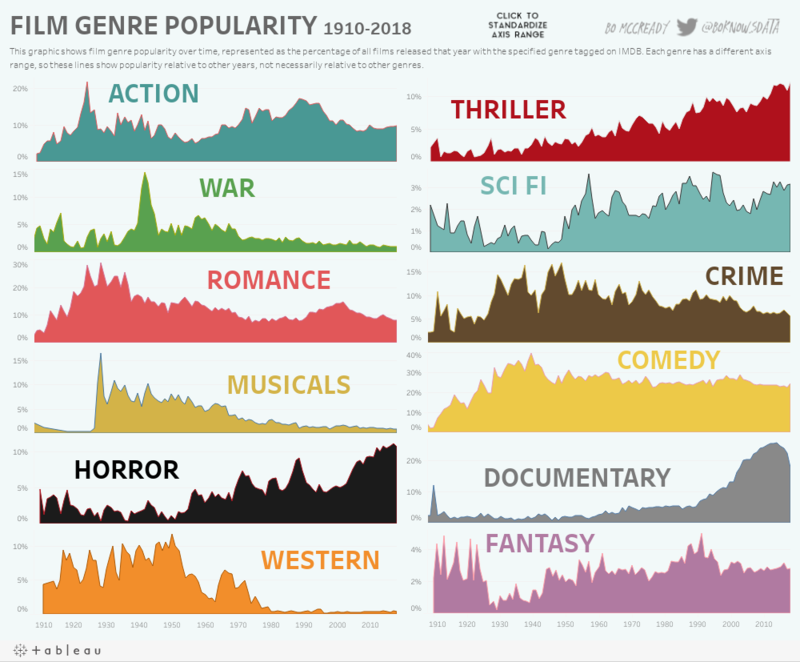 Check out the new blog post by Sarah Bartlett on her blog Sarah Loves Data and check out some of her other amazing posts. Share your reasons for entering Iron Viz in the comments! + The #LondonTUG has a new blog post up highlighting some amazing things from their last meeting. Watch the presentation by Mark Jewett, head of Product Marketing at Tableau. + Lorna Eden 's #WorkOutWednesday's challenge to add a custom sort control spired a new blog post from Klaus Schulte showing how he created his custom sort control. Check out the awesome blog from Klaus here: Custom Sort Controls in Tableau! Happy prepping, vizzing, analyzing, and discovering!